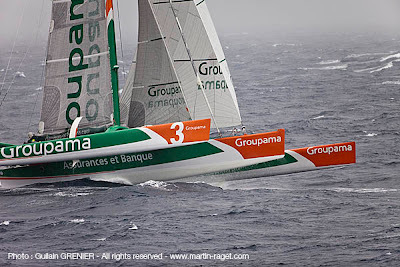 Groupama 3 set off on the Mediterranean record this Friday morning at exactly 0719 UT according to the representative from the W.S.S.R.C, responsible for observing the departure of the maxi trimaran owned by the insurer-banker Groupama. 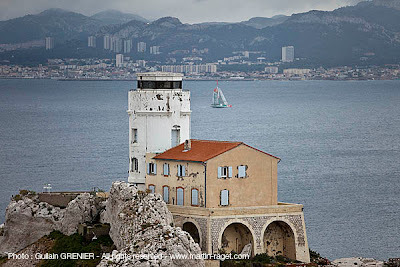 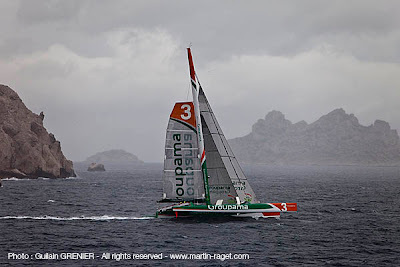 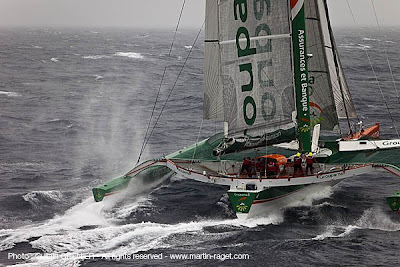 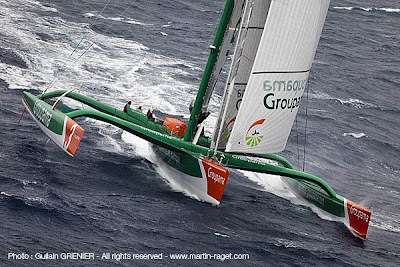 Groupama 3 will have to arrive in Carthage before 01hrs 15' 33'' (UT) on Saturday 16th May in order to break the record set by Bruno Peyron.Squalls and reduced visibility accompanied her passage across the start line situated abeam of the Pomegues lighthouse (43° 15.7' N- 005° 17.4' E), at the exit from the harbour of Marseilles, on the islands of Frioul.Franck Cammas and his 6 crew set off with 2 reefs in the mainsail, staysail and gennaker aloft. 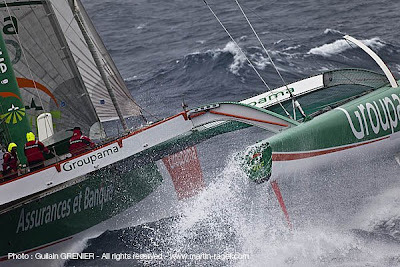 The atmosphere onboard was one of concentration as the conditions expected throughout the course (458 miles) will most certainly be feisty.